Fuller’s Earth, or more commonly known as Multani Mitti, is a natural supplement that’s hugely popular for its dermatological abilities. Renowned for its effectiveness in treating acne and skin blemishes, it was originally used in the wool industry and is now utilised for its rich magnesium chloride content. A frequent ingredient in many skincare products, Multani Mitti can be used as both a cleanser and a toner during the facial care process. If you have the desire for a sweat-proof product that will give you glowing skin, read on to discover Multani Mitti’s full benefits. 1. Multani Mitti removes dead skin from the face, leaving pores with room to breathe and promoting a good complexion. 2. Working to remove acne and blemishes from the skin Multani Mitti masks can also be highly effective in producing a natural skin glow, a known sign of healthy skin. Acting to fully unclog pores, this substance will allow other skin treatments such as moisturizers to be fully absorbed, giving the most benefit. 3. For some, greasy skin can cause a huge problem. Multani Mitti is popular among those with this problem, as when blended with rose water it fashions a fantastic oil-busting facial mask. Also improving blood circulation, dry skin can be aided by combining Multani Mitti with milk alternatively. 4. If you look at the descriptions of some of your favorite facial products, you might be surprised to see Multani Mitti among the ingredients. This is for the simple reason that its oil-combating abilities make it an excellent anti-inflammatory agent for aggravated skin. Not only working to fight acne, Multani Mitti has also been used as a preventative treatment, reducing their future appearance. In order to treat blemishes, it’s advised to blend a pack of Multani Mitti with tomato juice, sandalwood powder and turmeric. After leaving to work on the face for 10 minutes, rinse off and you’ll notice the immediate benefits of this fantastic cleansing agent with an immediately brighter face. It’s important to remember, however, that although highly effective, best results are seen from continued use. 5. If you often suffer from pimple marks and the lowered self-confidence that comes with them, the following remedy has been known to help. By combining neem paste, camphor and ground clove powder with Multani Mitti and rose water, a regular wash will help to fight their appearance. From repeated use, your skin and face will feel naturally brighter. 6. With known ingredients that help to slow the pigmentation process, Multani Mitti can reduce sun tan and even promote the healing of stretch marks. By combining essential oil with Multani Mitti, you’ll have a face pack that will make skin noticeably softer. 7. 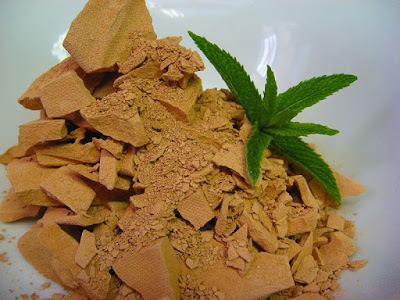 As an effective skin cleanser, Multani Mitti can also reduce the appearance of black heads and white heads. It’s advised that you combine glycerine soap and ground almonds with Multani Mitti to produce the face scrub. 8. By beating an egg with a spoon of curd and Multani Mitti, you can produce a face mask that works as an excellent toner. Standing as another option in your facial care routine, apply and leave to work for 20 minutes to achieve optimum skin toning. 9. Popular usage in the alternative treatments community has even shown some effectiveness in reducing the appearance of scar marks. Add one of spoon of carrot pulp paste to 2 spoons of olive oil and Multani Mitti and apply to the affected area. Milk has been used in skin treatment recipes since the time of the Ancient Egyptians and has remained a popular treatment option due to its soothing effect on the face and skin. Blend all of these ingredients together and store in a container for easy use. We’re keen to hear your thoughts on this incredible remedy. Please leave us a comment and share what you think.